AWFUL. It is maddening to me when people say he’s their favourite author. I mean, to each their own blah blah blah, but your taste needs a kick in the crotch, in my humble opinion, if you truly believe this is quality stuff. Posted on September 14, 2018 January 24, 2019 by Krystin RachelPosted in 3 Stars, Reviews, Surname: M to ZTagged book, Book Blog, Book Blogger, Book Review, book reviews, Books, Bookstagram, Crime Fiction, Goodreads, Horror, james patterson, Mystery, psychological suspense, Review, Reviews, suspense, Thriller. This book may be boring, but your review certainly wasn’t. I don’t know what it is that makes reading about people complaining that makes it so satisfying. I’ve only read one Patterson novel and that was plenty. I’m definitely never picking up one of his books again. Hey Krystin, how’s it going? I agree on Patterson’s writing, but J.D. Barker told me he’s co-writing with Patterson when I saw him at Thrillerfest. That should be interesting. Hey E.J. Things are pretty good. How was Thrillerfest. I saw some of your pics on Insta – looked like a good time! I had heard that he was doing the co-writing thing with Patterson. A lot of really great authors do. Maybe it’s a rite of passage or you just don’t turn down The Great and Powerful Oz. Who knows? He’s a terrible, writer but you know those books will sell so it’s opening JD up to new readers at the very least. You make some good points there. J.D. said Patterson was very involved in the writing, equal parts, but JD was looking forward to going solo again. Thrillerfest is always so fun. The networking is incredible and I’ve got a couple of serious bites on my new manuscript. Fingers crossed! I mean, I’ll be honest and say it’s at least nice to know that Patterson is involved in the writing. I don’t know how he does it, pumping out fifteen books a year, but I mean, keep on truckin’ dude. 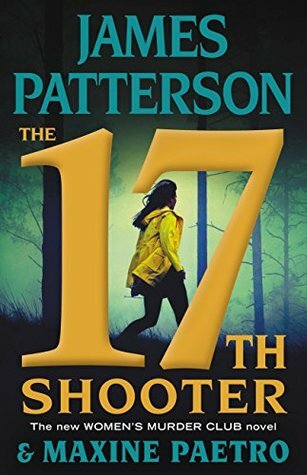 At the very least, I can say I like that newer authors who don’t have the size audience that Patterson does get the exposure. And JD definitely deserves it. It’s great to hear about your manuscript!!! Fingers and toes and eyes totally crossed for you.